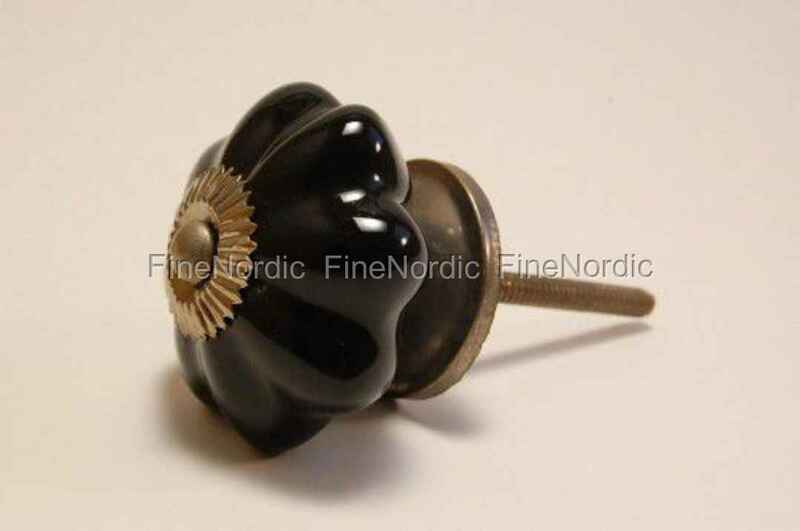 This large black La Finesse porcelain knob’s shape reminds us of a bulb of garlic. It is easy to attach to a drawer or door by just screwing it in. It can instantly change the appearance of a chest of drawers or cabinet. Using a porcelain knob is a pretty inexpensive way to freshen up an old piece of furniture or to add some character to a modern one. If you like the shape of this knob, then have a look at the other sizes and colors we have available in this design. We also have many other knobs, single-colored ones, multicolored ones and all different patterns available in our web shop.